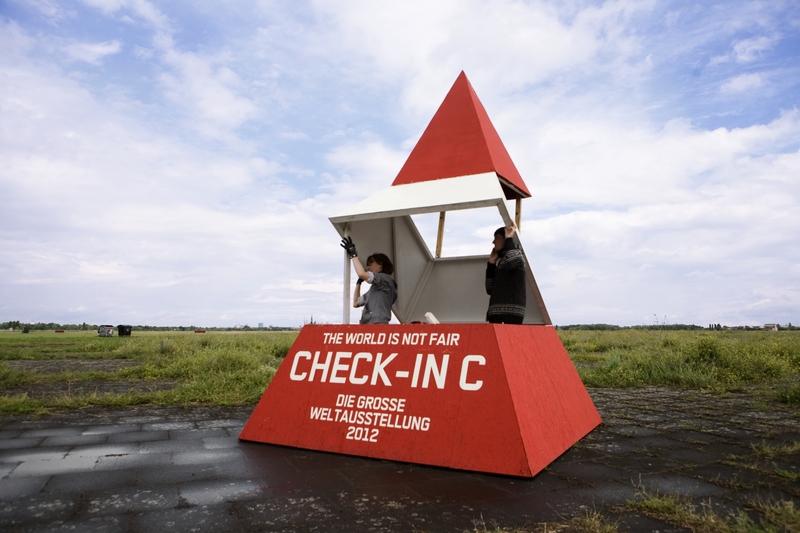 A world fair is not a world fair without a pyramid. 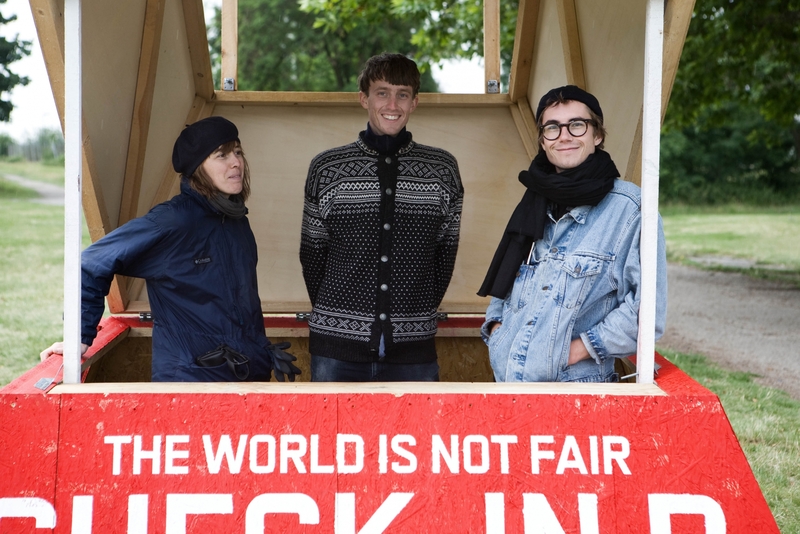 Re-Make/Re-Model was invited by raumlabor berlin to design and construct the three ticket and information pavilions for the festival Die Große Weltausstellung – The World Is Not Fair. 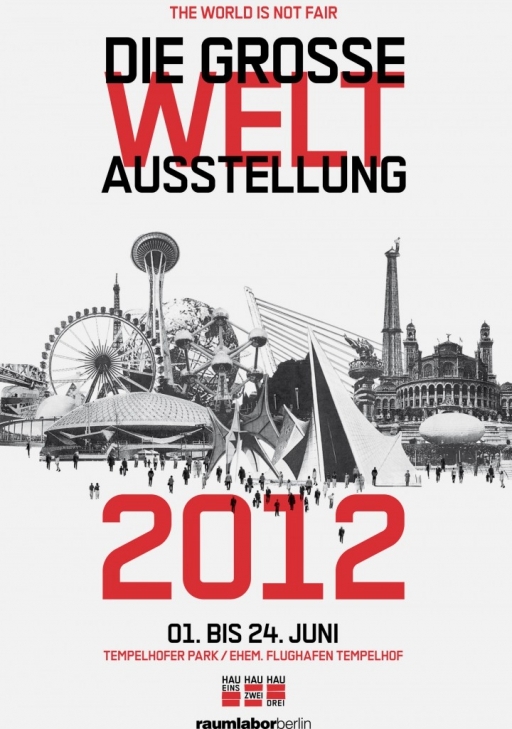 The world fair was organized and curated in collaboration between Hebbel am Ufer and raumlabor berlin. 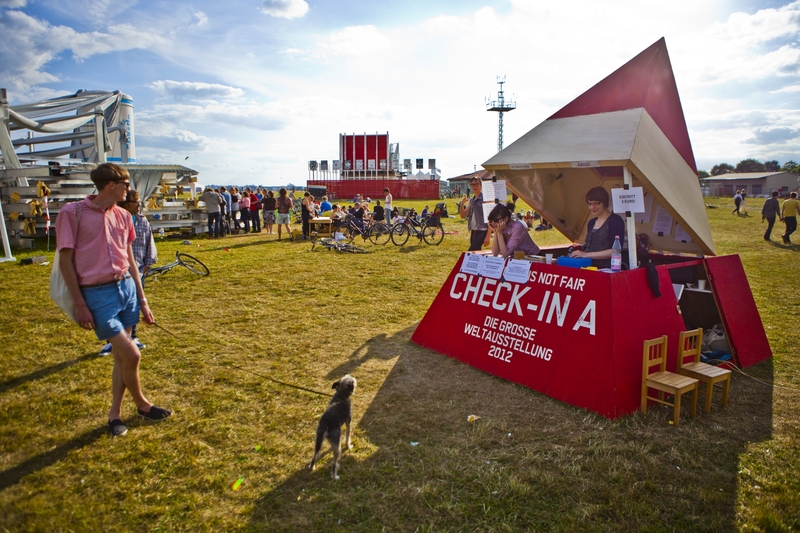 The festival gathered a large number of international architects and artists at the former Tempelhof airfield in Berlin in a month long celebration of what a world fair that truly focused on the things that really matter could be. Re-Make/Re-Model made a scheme starting with a simple pyramid shape. This pyramid was then sliced twice and could then be folded up to create a ticket/information booth. 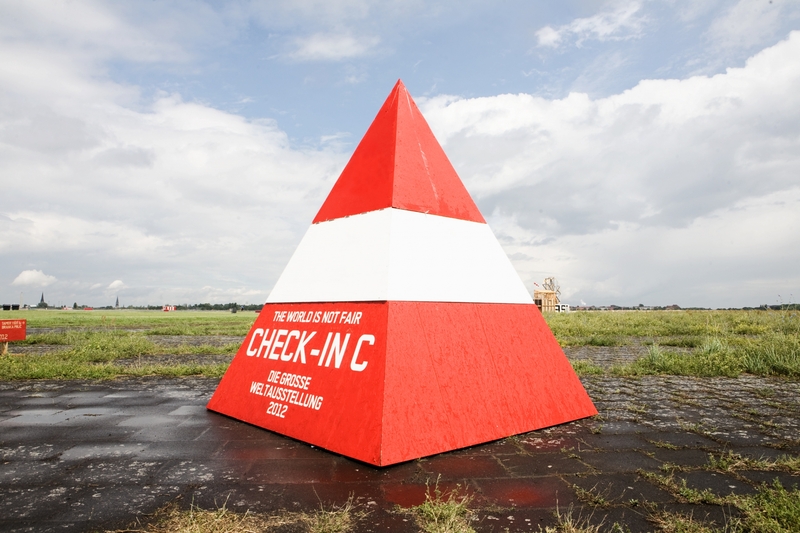 At night, the construction was closed and appeared as some sort of old airfield warning cone. 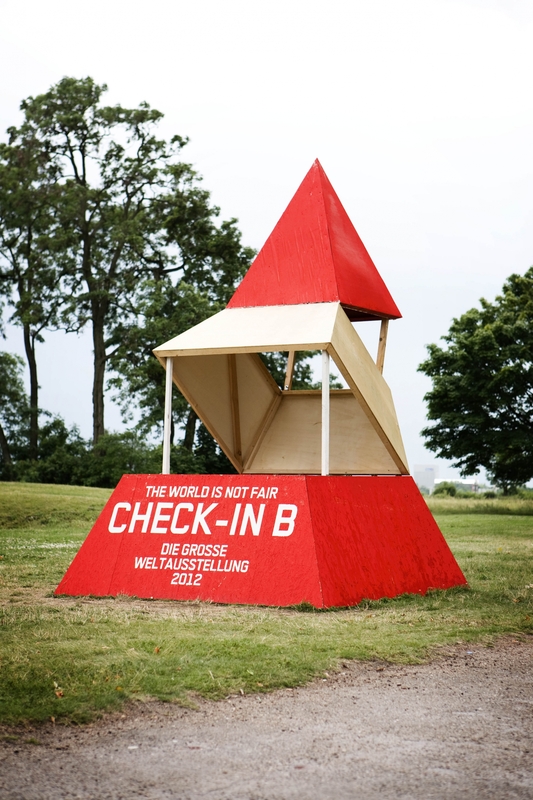 Folded up in the daytime, it became higher and more visible while still retaining the iconic shape of the pyramid. 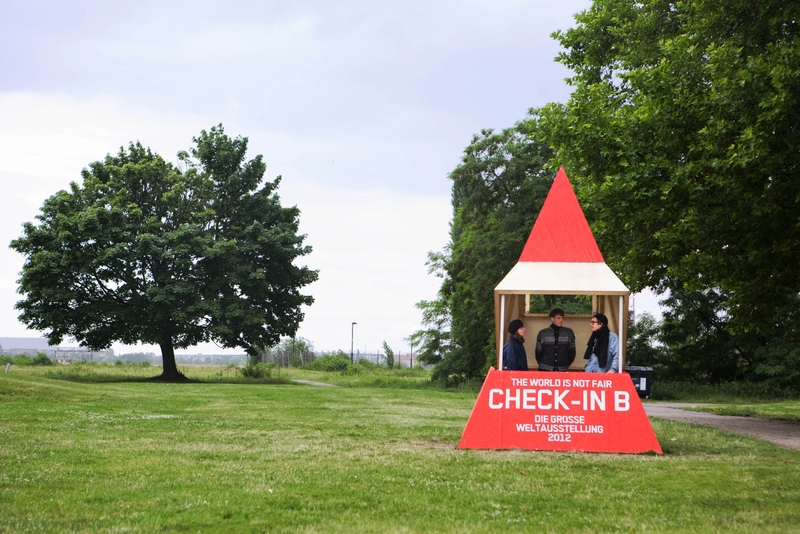 The three pyramids were built by Re-Make/Re-Model in the 10 days leading up to the festival. 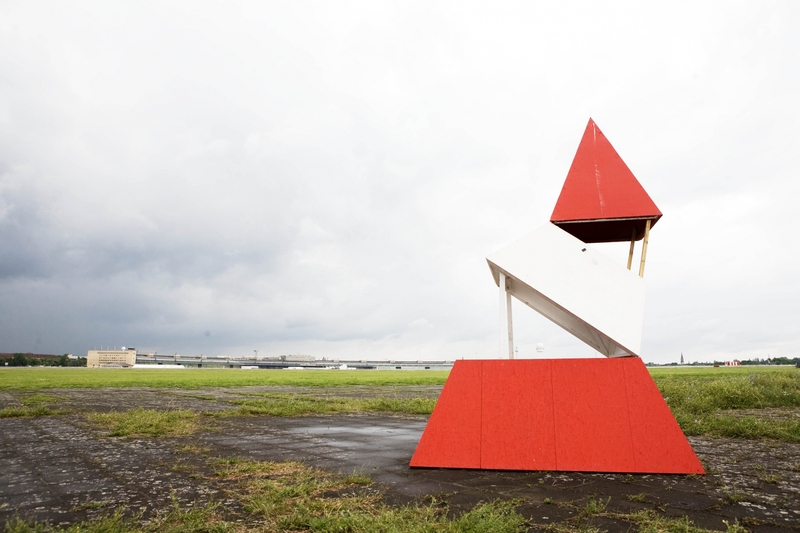 They were constructed out of OSB and plywood boards sourced from the trash piles of the other pavilion construction sites at the airport.